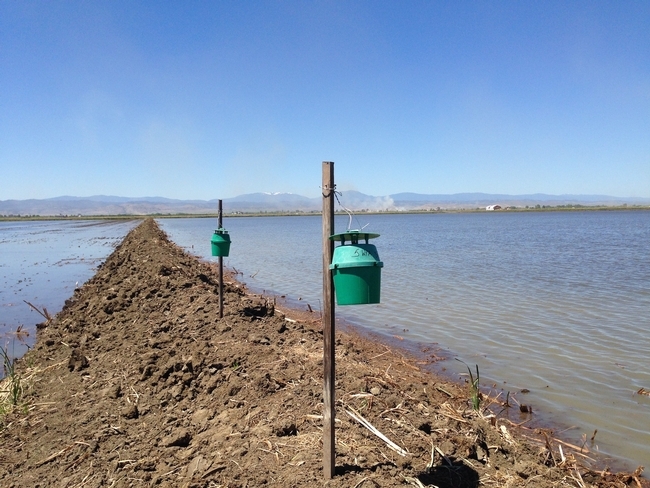 I have set up seven armyworm pheromone traps in the Sacramento Valley, and Michele Leinfelder-Miles is monitoring one trap in the Delta. Last year the traps showed a distinctive peak mid August, when worms started causing problems during heading. This year, we will start monitoring earlier and so we will try to identify the peak that corresponds to when worms start feeding on foliage in late June - early July. I will publish the results of the monitoring weekly or biweekly on the UC Rice On-line website and I will sound the alarm when monitoring efforts need to be increased to make sure infestations don't go unnoticed.